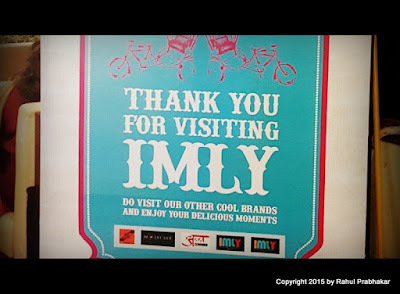 I was recently invited to review Imly, a newly opened quick service restaurant in Rajendra Place, New Delhi. 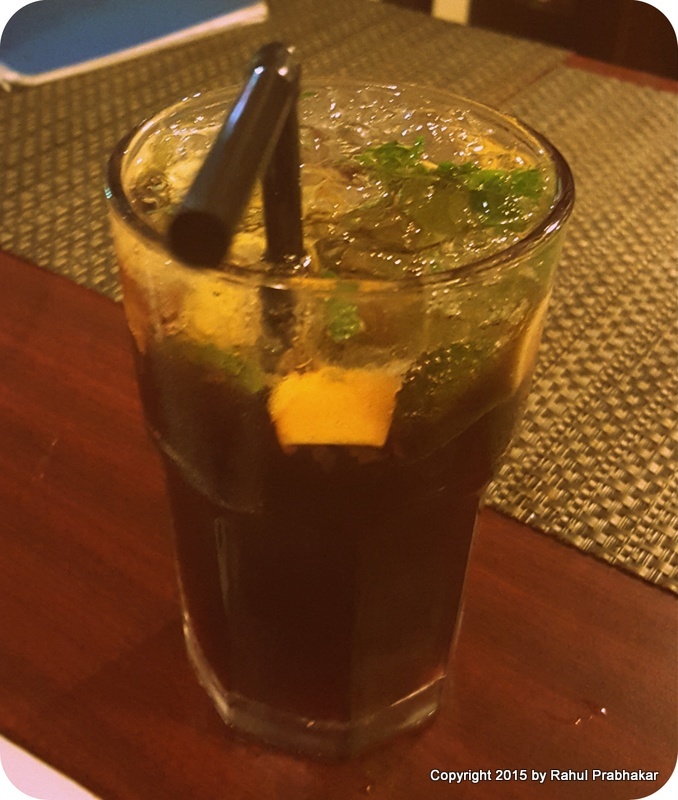 Most of the time, I would find excuses not to go for a review on a weekday, since traveling to Delhi is a hassle quite honestly. But something about this property caught my fancy! Imly offers a wide array of authentic vegetarian street food from all across the country - a good enough reason to entice me into temptation. It is hard not to spot Imly, which is just a stone's throw away from the Rajendra Place metro station. The first thing you'll notice after the 2-minute brisk walk is a 250-feet-long multi-colored train with compartments, parked in a quaint corner of the Hog Market. The train bears an uncanny resemblance to the Hogwarts Express Train from the Harry Potter films. As you walk closer towards the entrance, the excitement starts to build up even more, despite you having no clue about what's in store. So first things first. 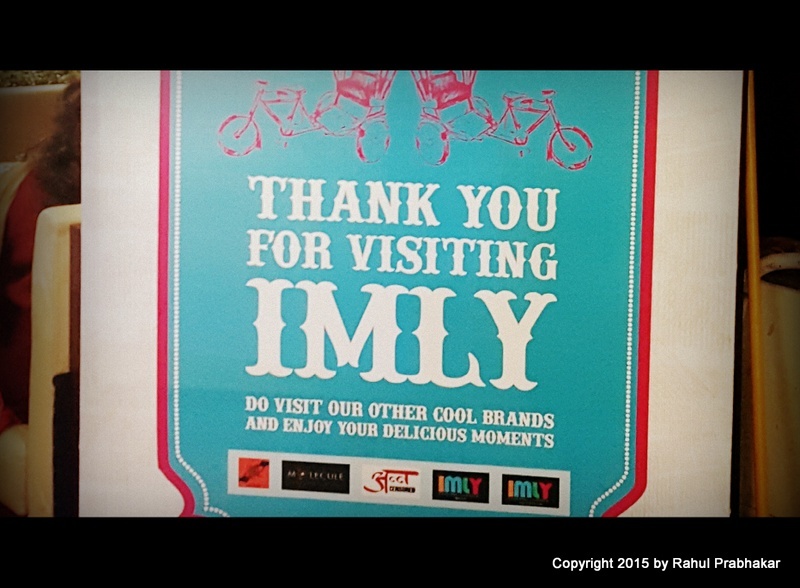 Imly is quite a revelation! 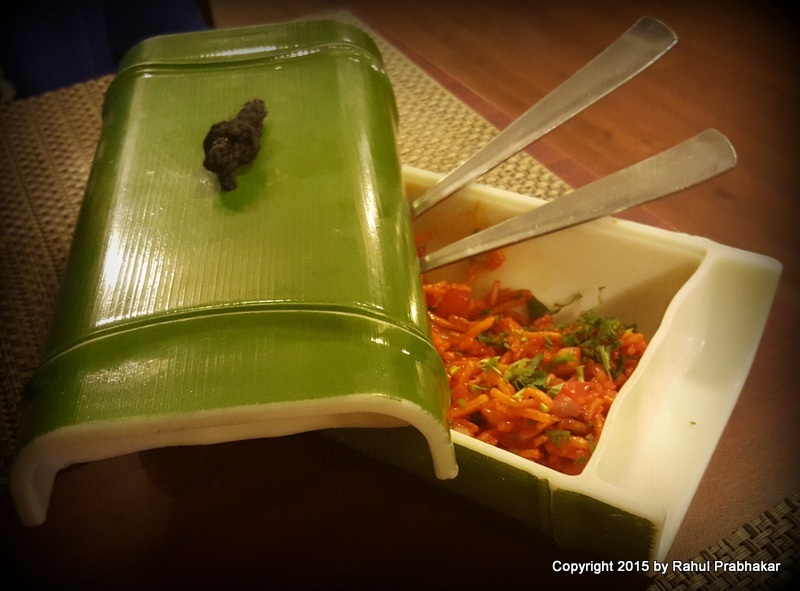 Brainchild of restaurateurs Varun Puri and Vivek Bhargava, Imly packs a punch by roping in the best chefs from different parts of India such as Rajasthan, Mumbai, and Kerala; as a matter of fact, Imly cherry-picks on a regular basis from the streets of India. Imly employs over 13 chefs and a staff of around 80 people, including front office, servers, etc., which is pretty remarkable to say the least. 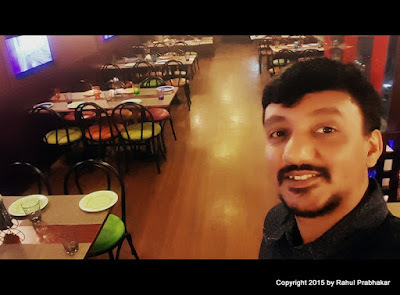 The restaurant operates every day from 12 noon to 11 pm, and is a popular haunt for young students from nearby colleges such as Janki Devi Memorial College (JDMC) and Kalindi College. That's not all! The property is frequented by guests from the Jaypee Sidharth Hotel and BLK Super Specialty Hospital, which are just around the corner. 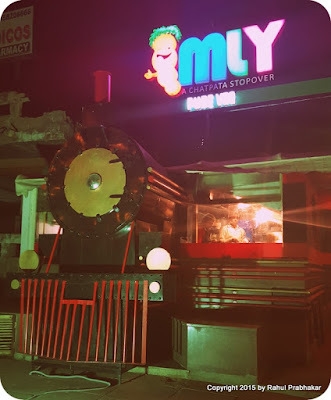 It doesn't matter if you're coming to Imly alone, with family or friends; as long as you have a palate for street food, Imly will continue to keep you entertained. Just make sure you have a prior reservation, since it gets a bit packed in the evenings or on the weekends! Imly's director, Hemant Puri, believes that Imly is not just an authentic Indian street food joint but also a place where such street food is delivered in a healthy or hygienic way. He hinted that Delhi-NCR alone will see six new Imly's by the end of 2016, including two in the DLF Mall of India by March and one in Gurgaon by April. Imly can easily accommodate over 100 people at any given time. 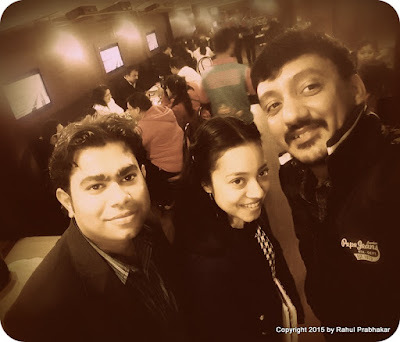 In fact around Christmas last year, Imly organized a carnival that saw a footfall of more than 10k people thronging the restaurant. 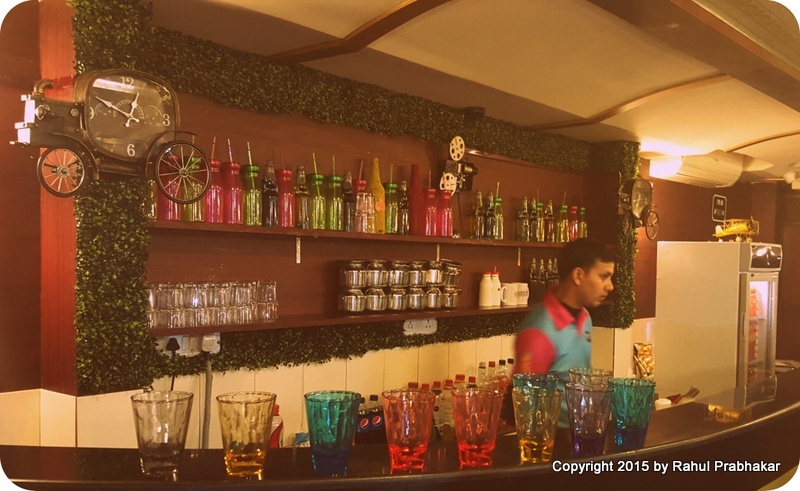 The decor is breathtaking - colorful glasses, cutlery, and furniture complement each other pretty well; ditto for the flat TV screens with train images. 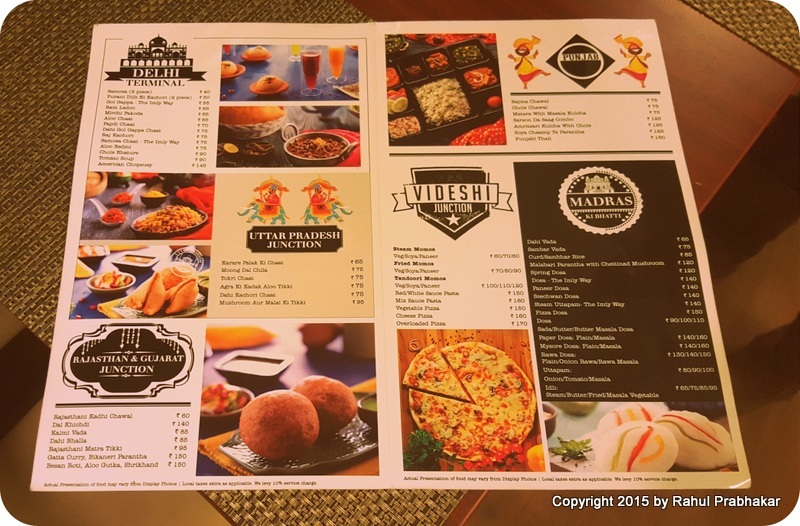 Imly's menu is cleverly done with popular street food from nearly all major states in India listed under the respective terminals or junctions. For example, you have the Delhi terminal on one hand and Uttar Pradesh junction on the other. If you're not up for the Indian food for whatever effing reason, choose from a plethora of options listed in the Videshi junction. 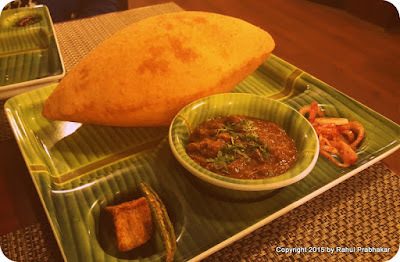 For connoisseurs of South Indian food, there is plenty to choose from the Madras Ki Bhatti. My personal favorite is the Rajasthan and Gujarat junction, since I have a fetish for Kalmi Vada, Rajasthani Matra Tikki, Gatta Curry, Aloo Gutka, and Bikaneri Parantha. Here are my Top 12 favorites at Imly. 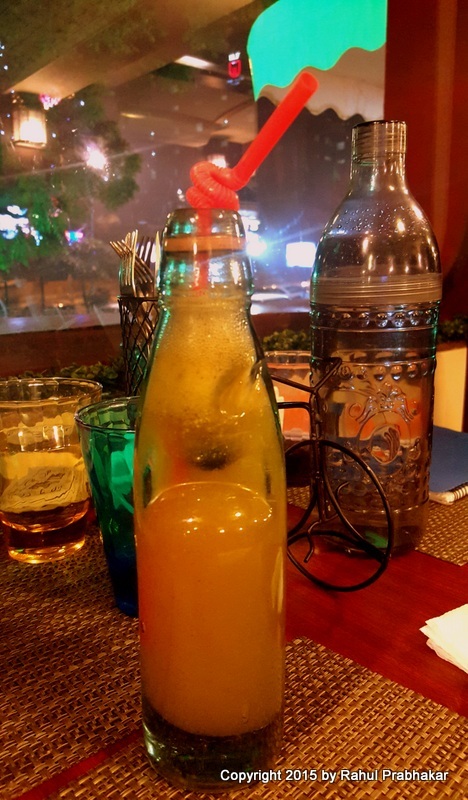 Served in a traditional banta bottle, this classic beverage brought back many vivid memories from my childhood. 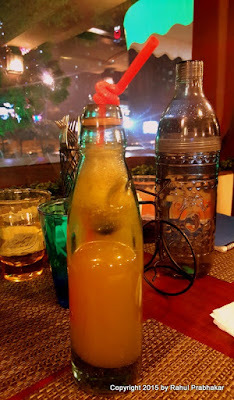 In its modern-day avatar though, the Banta Shikanji contains five different flavors, including mango (my favorite), kokum (Gracinia indica), and pineapple. Gol gappa, a. k. a. pani ke bataashe, panipuri, puchka, gup chup, pakodi, or phulki, is one of the most popular street snacks in India. What's in a name you'd say! 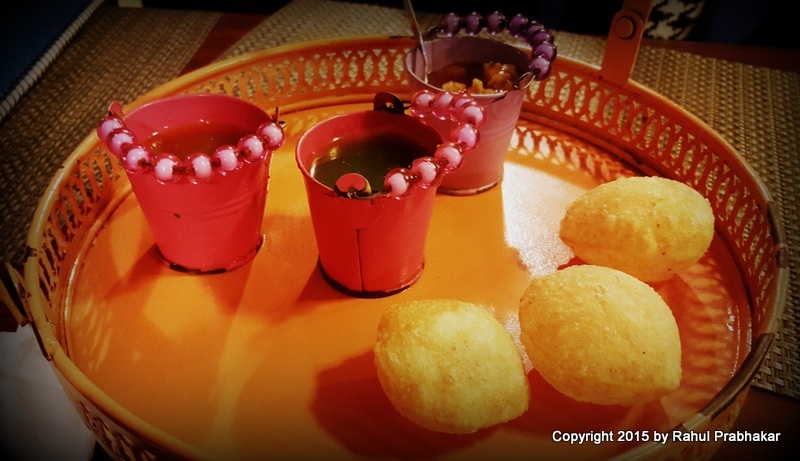 Traditionally, a gol gappa is made of flour or semolina. The crispy, fried aata gol gappas at Imly should be consumed with flavored water (pani), mint, and tamarind chutney, which leaves you wanting more. 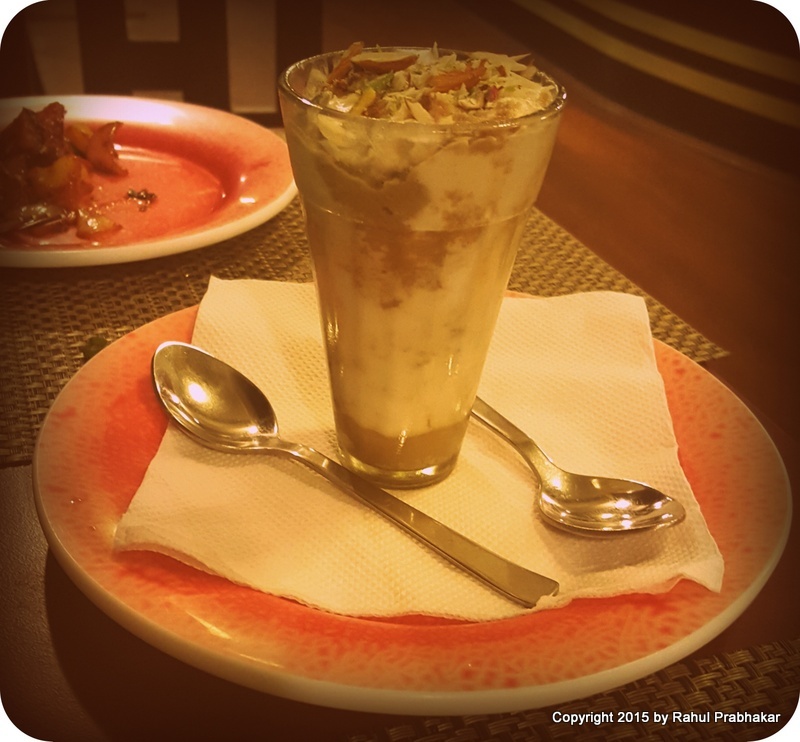 The Imly Way is bound to sweetly enthrall you! With origins in Mumbai, this scrumptious Indian fast food contains deep-fried noodles mixed with finely chopped onions and tomatoes, sliced bell peppers and carrots, soy, and red chili sauce, among other ingredients. 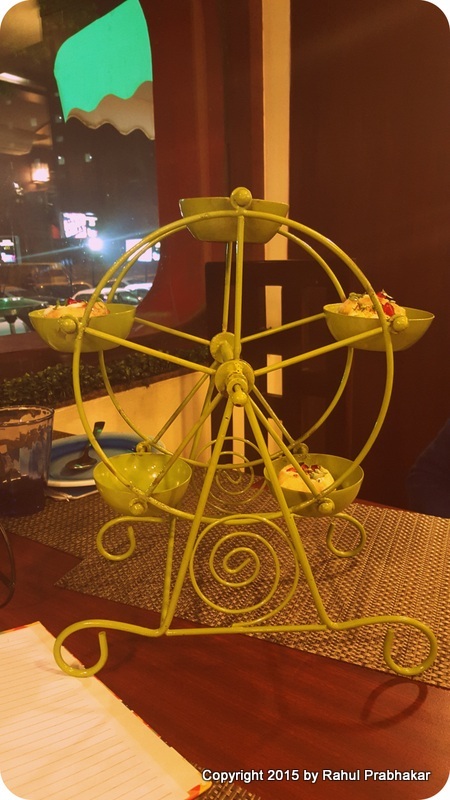 Served on a mini Ferris wheel collectible, the Dahi Puchka is essentially an amuse-bouche that'll set the world on fire. 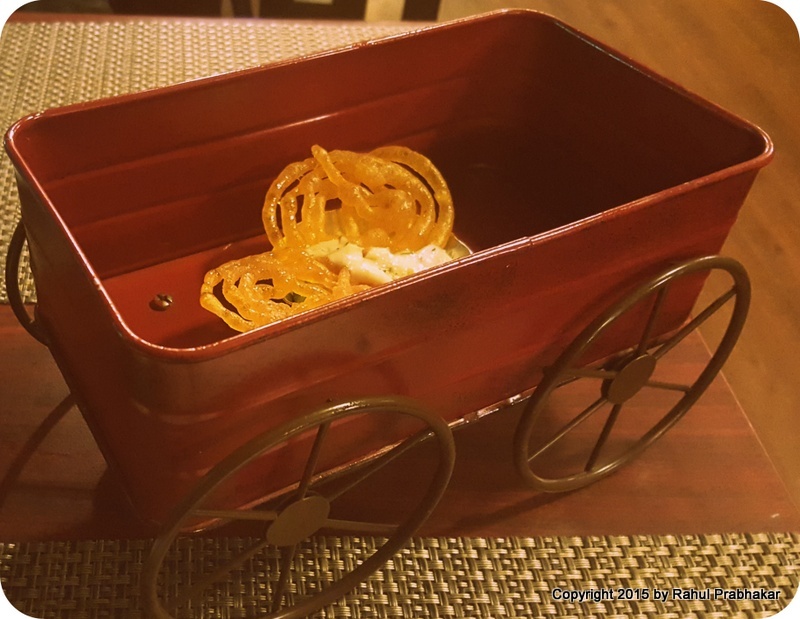 PS: The head chef, Aman Puri, traveled all the way to Amrik Sukhdev Dhaba in Murthal for getting the right flavor of curd used in this yummy starter. I still prefer my traditional Cuban highball; nonetheless kudos to Imly's mixologist for churning out a desi spin on Mojito by mixing tamarind with Kala Khatta syrup, mint leaves, and lemon wedges. 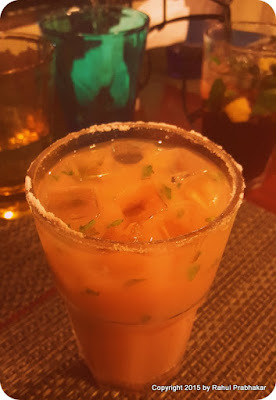 Imly's take on the popular Virgin Mary mocktail, Guava Merry is a unique drink with an intermingling taste of guava nectar, lemon juice, Tabasco, salt, pepper, and ice. 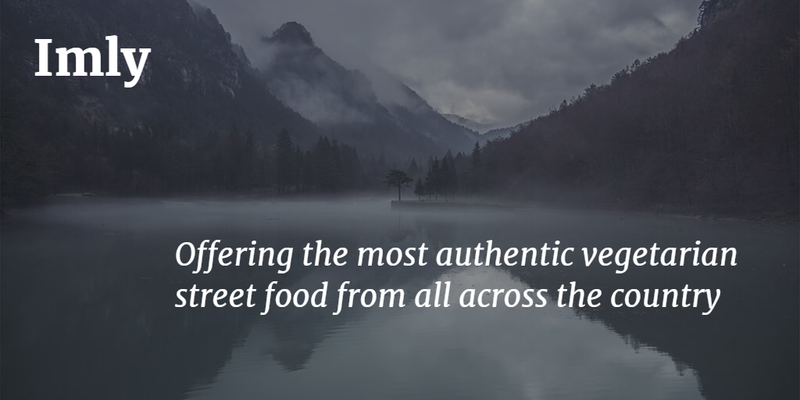 You can tell a lot about the culture of a place through its food. 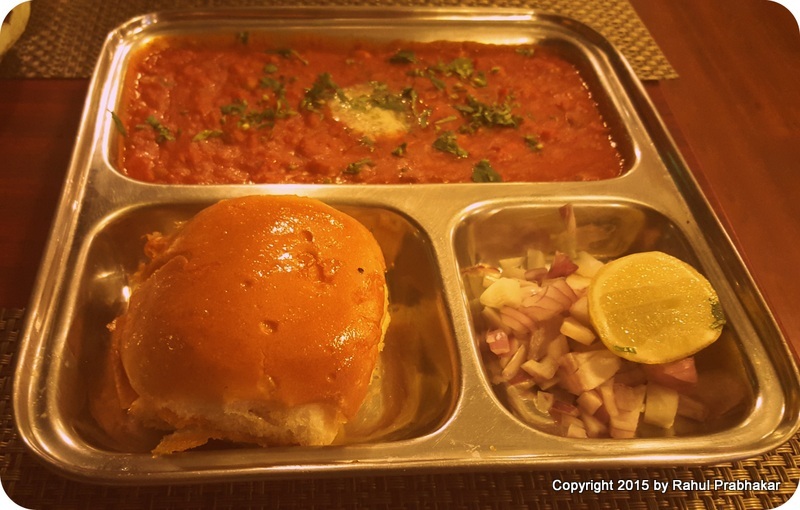 Pav Bhaji at Imly is more than just a street food from Maharashtra. The richness of this fast food comes from mixed vegetable curry (Bhaji) served with a soft bread roll (pav), finely chopped onions, and lemon wedges. Kalmi Vada is a popular Rajasthani snack that is doing extremely well at Imly. Deep-fried chana dal crispies that must be enjoyed with fiery red chutney. Imly seems to have perfected the everlasting combination of bhature (fried bread made of maida flour) and chole (spicy chickpea curry). Finger licking good! 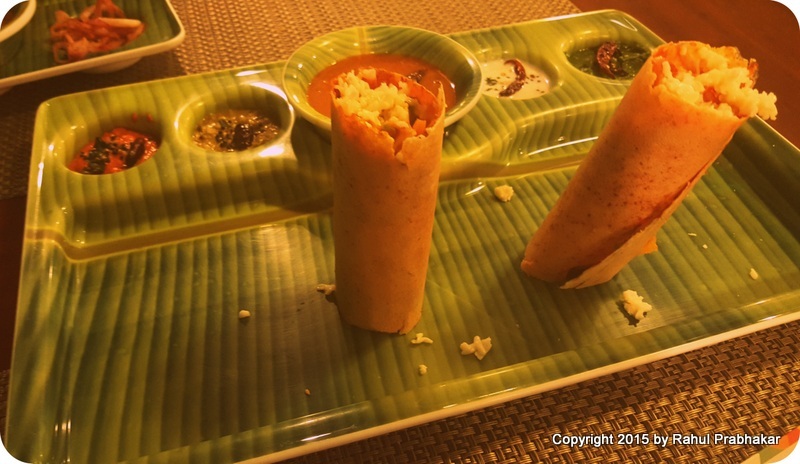 Jini Dosa is a popular Mumbai roadside snack made of capsicum, paneer (cottage cheese), potato, onion and tomato, topped with shredded cheese and schezwan sauce. 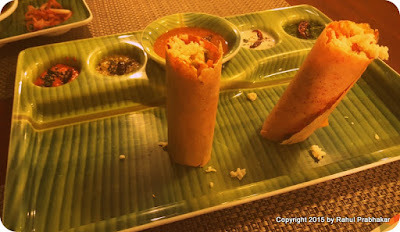 Served the Imly way with four different types of dips - Pudina, coconut, ginger, and tomato. These deep-fried idlis when combined with bell peppers and onions leaves a tangible, crisp taste in spite of the chilies. What happens when the Tuscan Trifle marries our very own Rossomalai? The word 'lip-smacking' could have meant to describe Rasmalai Tiramisu, a delectable all-time dessert. 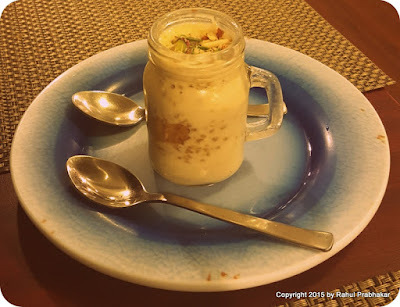 If you're fond of Rabri, check out these two exciting new desserts at Imly: Bundi Pack Rabri and Jalebi Rabri. Garnished with aromatic saffron strands, the deep-fried jalebis are an absolute must-have. In case you're visiting Imly on a weekend, savor the hot khullar milk served only on Saturdays and Sundays. Finally, while Imly sort of grows on you after a while, I still hope they start to serve outside as well, or at least do something about the closed windows inside their premises. 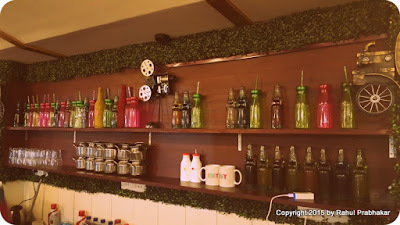 Imly is one of the best affordable properties in Delhi for enjoying hygienic street food. Take my word for it!